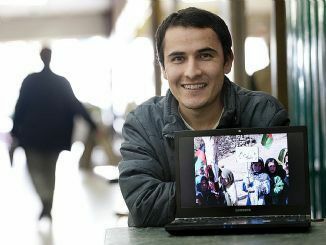 AN EXHIBITION celebrating the diversity of the Hazara community has been launched in the city. A collaboration of Melbourne and Kabul artists, Bamiyarra Not So Still(s) showcases photojournalism, video projection and sound to explore the experiences of young Hazara people and their journeys to Australia. Bamiyarra links Melbourne’s Yarra River with the Afghanistan province of Bamiyan, home to giant Buddha statues destroyed by the Taliban. Murtaza Danesh, 21, a Hazara refugee who works in Dandenong, arrived in Australia in 2001. “There were about 300 (people) on a small fishing boat, about three days from Indonesia to here,” he said. Danesh said he remembered living in the mountain villages of Afghanistan. “Before the Taliban invaded, it was a peaceful place,” he said. Hazaragi author Najaf Mazari tells his own migration story in his book The Rug Maker of Mazar-e-Sharif. Bamiyarra Not So Still(s) runs until August 11 at Signal on Melbourne’s Flinders Walk.